Tandoori seems to be the new, hot "ethnic" flavor emerging in the food world. 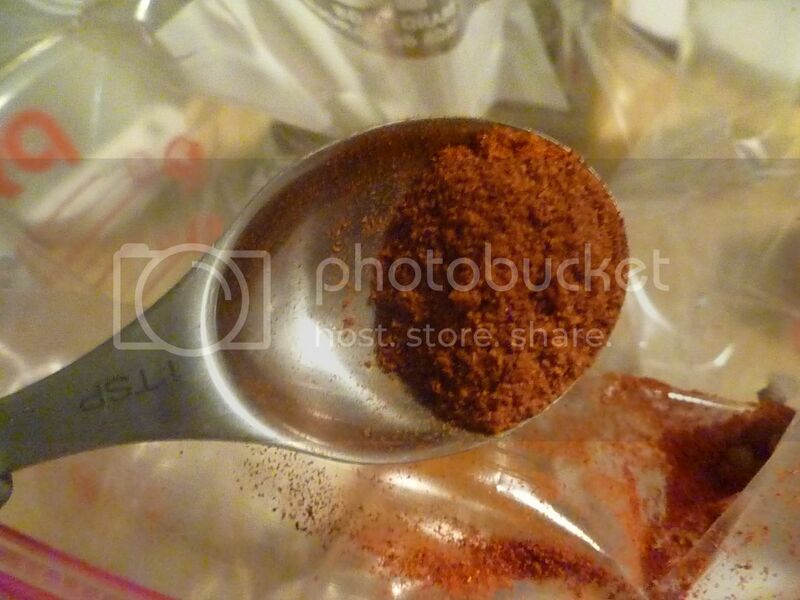 And while I don't own the equipment to make truly authentic tandoori, I do have the spices available. 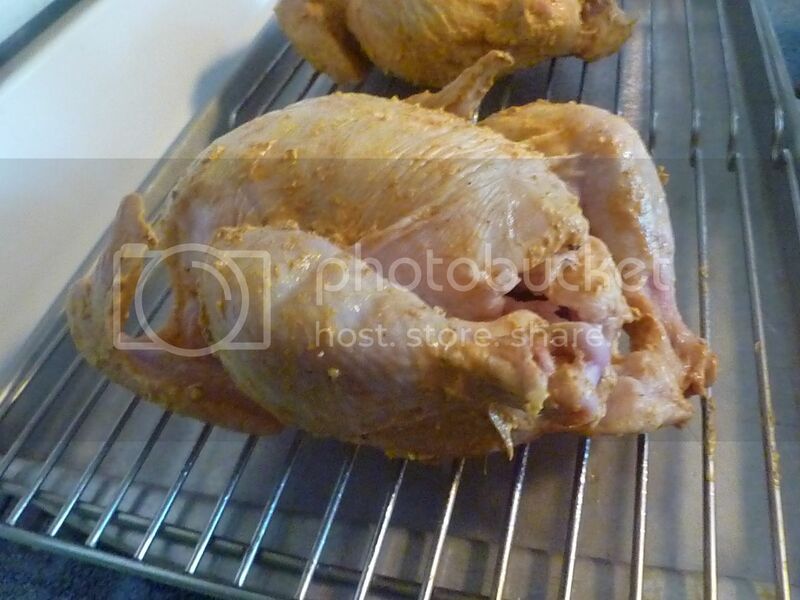 These game hens are excellent--unlike some marinades, the spices in this recipe actually are detectable in the meat, and the hens turned out moist and incredibly delicious. 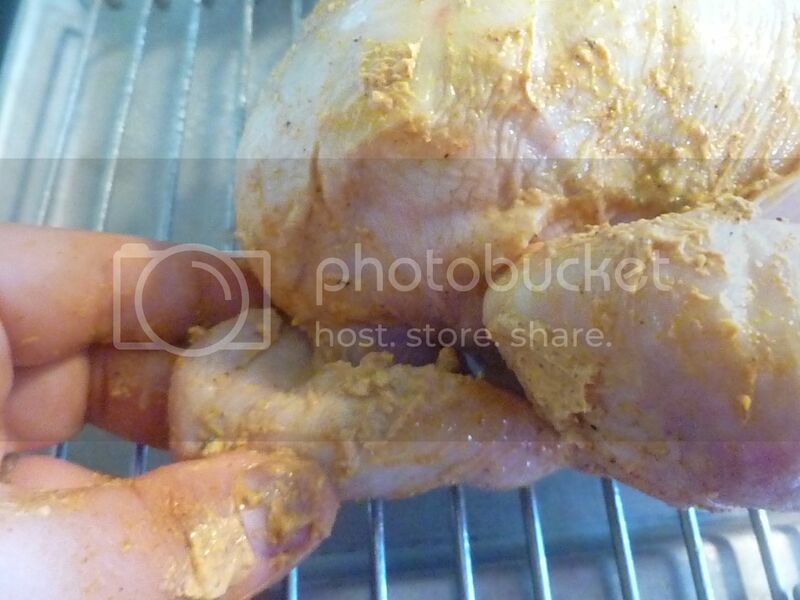 The hens do require an overnight (or at least 5-6 hour) marinade. 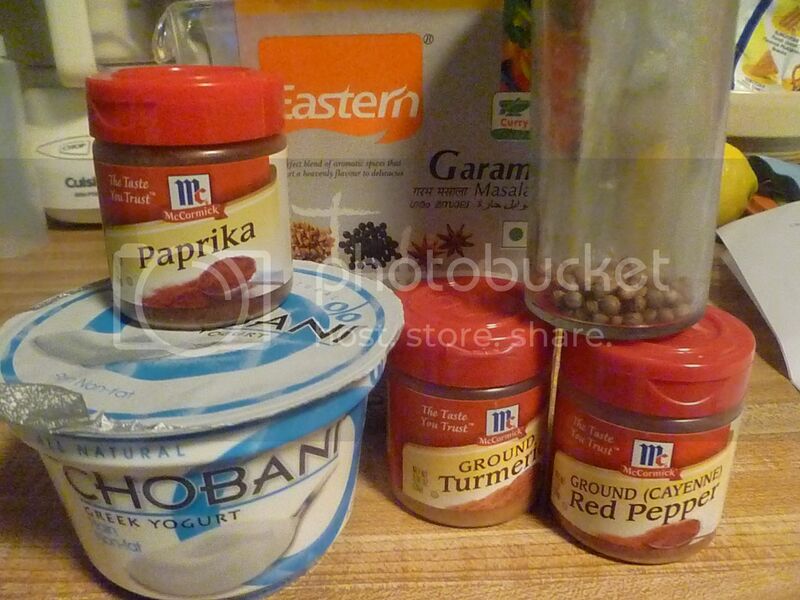 Some plain yogurt (Greek is preferred, as it's thicker and tangier) and a blend of spices is what you need. 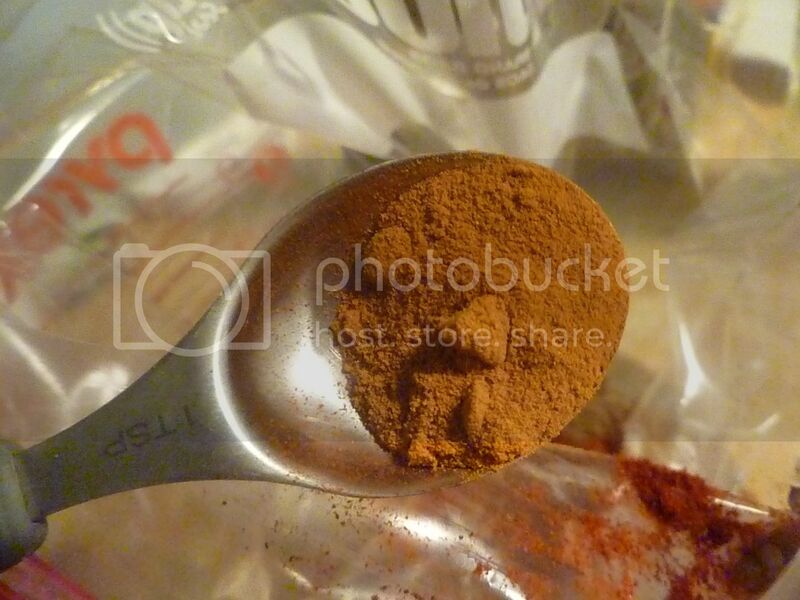 There's paprika, garam masala, paprika, cayenne pepper, and coriander. 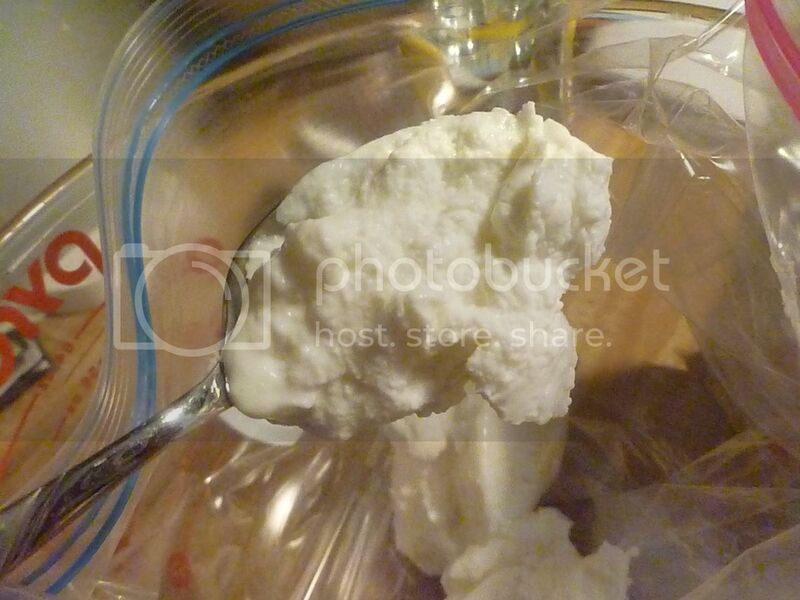 Scoop the yogurt into a bowl or a large plastic bag. Add the spices. 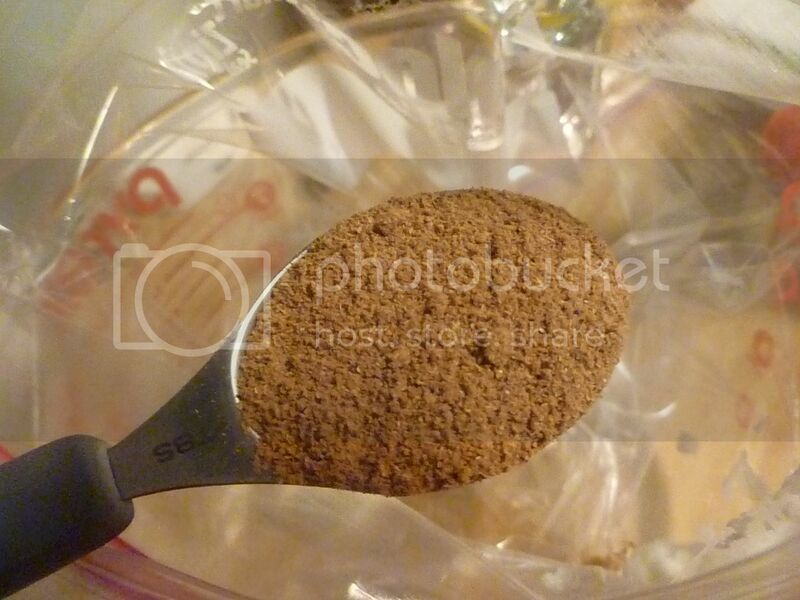 The first one is garam masala, which is actually a blend of spices. The blends vary on who makes them. Find one you like, and stick with it. It's great to have on hand. 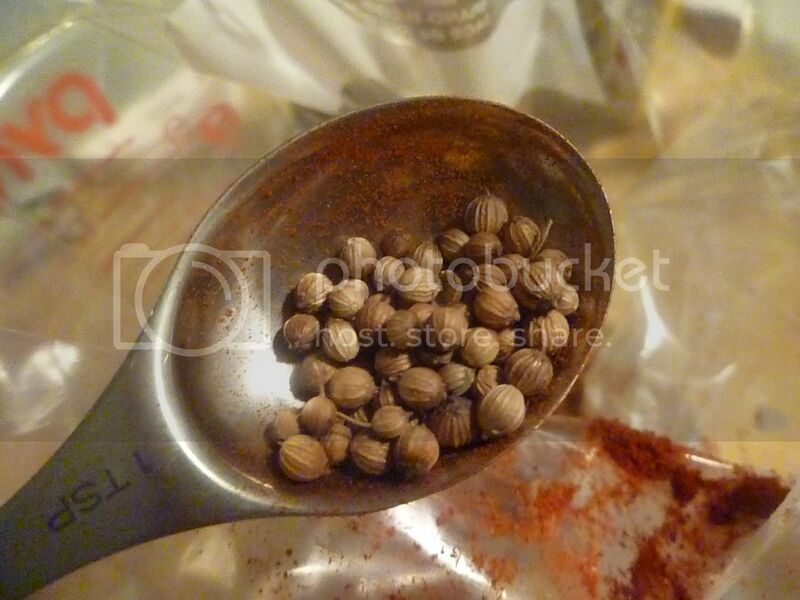 Then coriander seeds. For maximum flavor, crush them slightly before adding them, or toast in a pan over low heat until the seeds start to smell pungent. Turmeric will add some color. 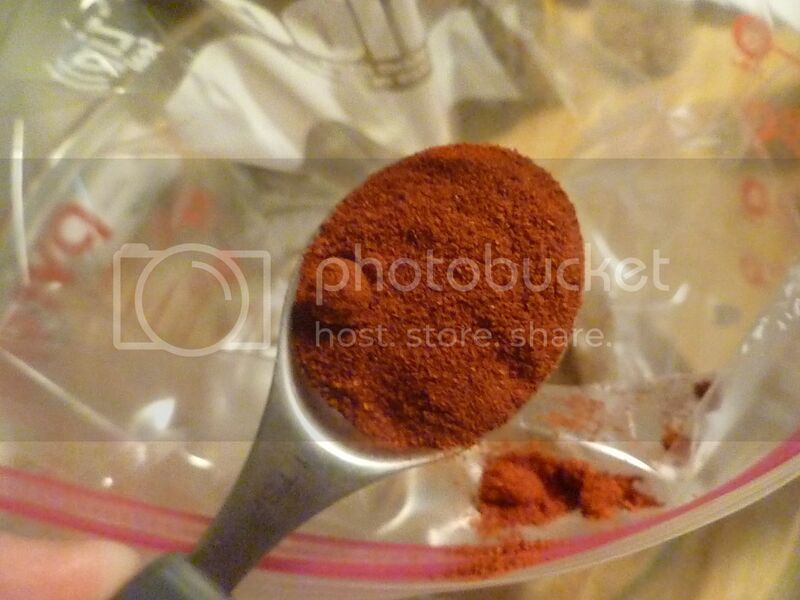 And of course cayenne will add a bit of spice. And never forget salt and pepper. 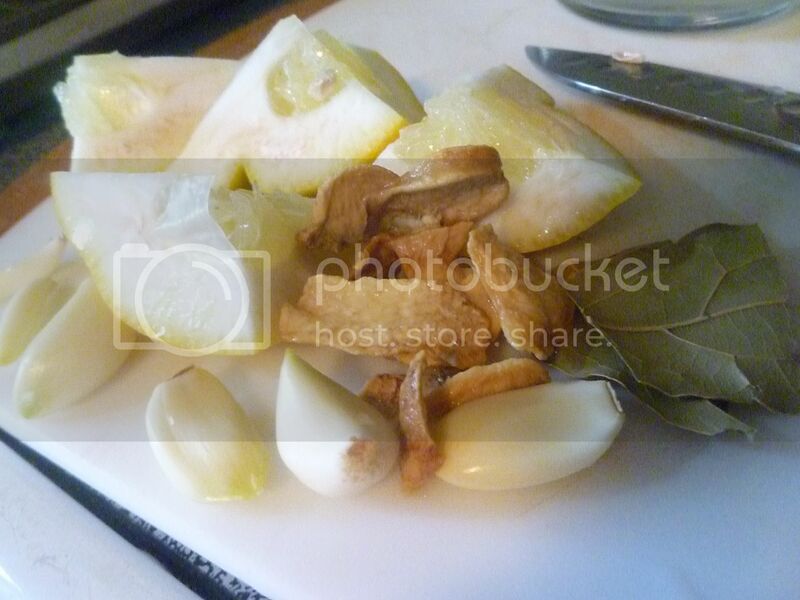 Garlic and ginger will be the final ingredients in the marinade. 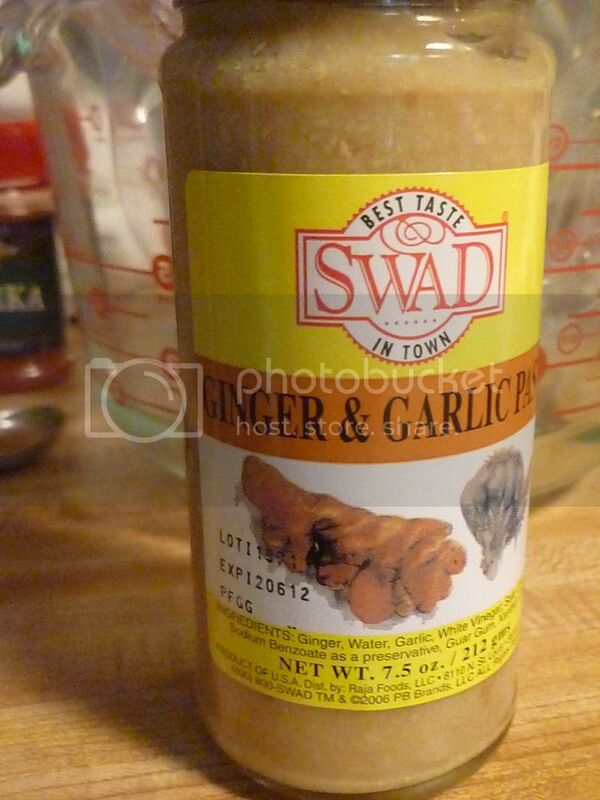 I used this nifty garlic and ginger paste. But if you can't find it in your store, just chop some garlic and ginger until they make a rough paste. If you've got a kid, this would be a great time for them to help. 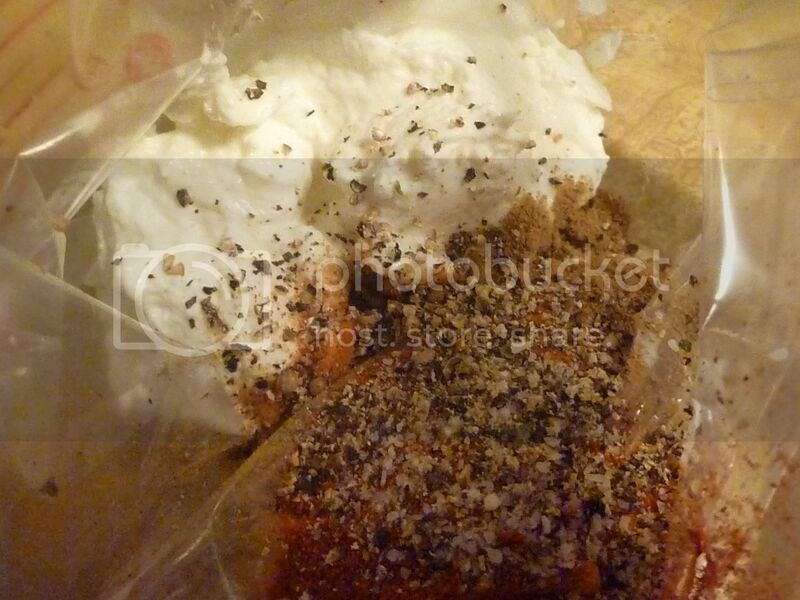 Just have them squish around the contents of the (closed) bag, to distribute the spices throughout the yogurt. Remove them from the package, rinse them well, and then pat dry. Then toss them into the marinade bag. 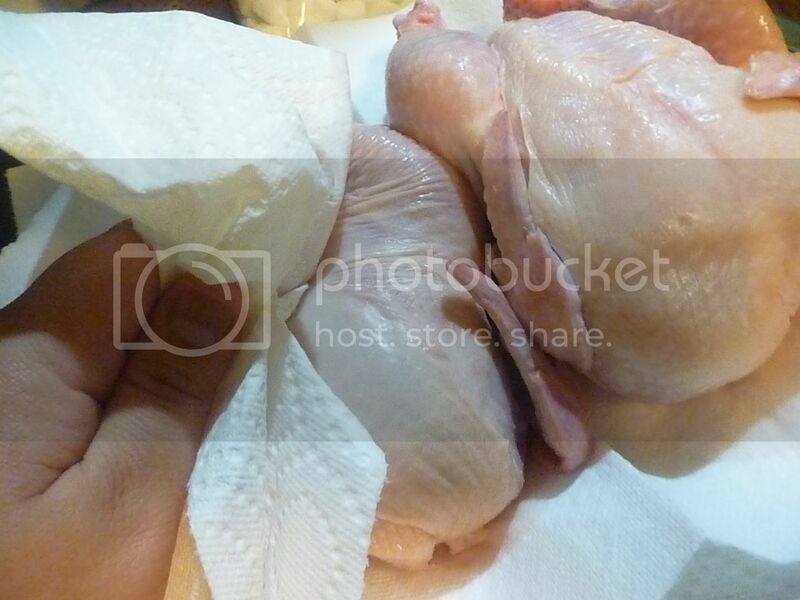 I was able to fit both hens in one large bag. 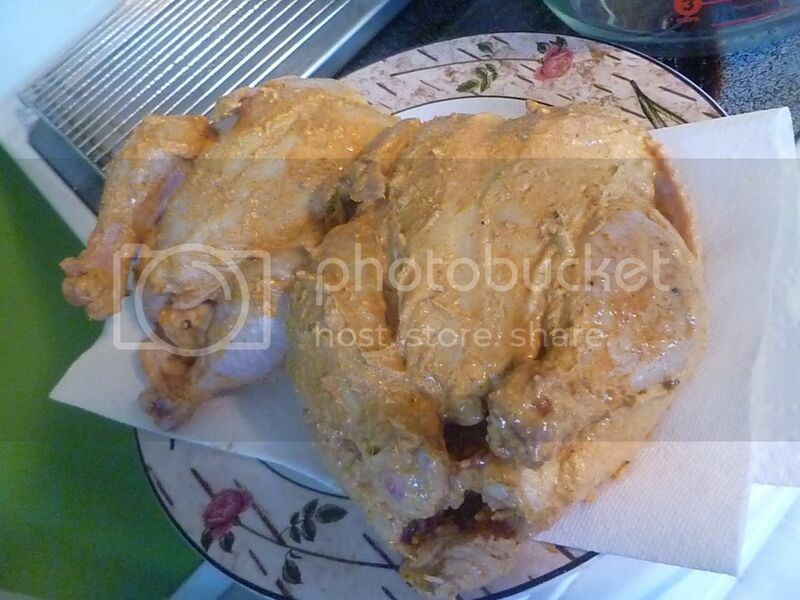 Put the bag in a large bowl (to avoid cross-contaminating your fridge) and let the hens marinate at least 5 hours and ideally overnight. 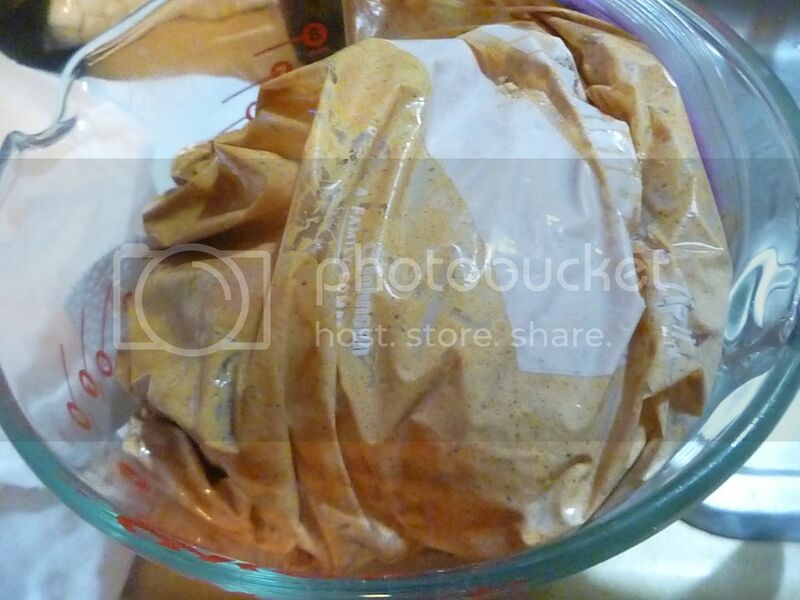 When you're ready to roast the hens, remove them from the marinade bag, and discard the bag. Use paper towels to lightly pat them dry, and place them on a baking sheet or a roasting pan. To help them cook evenly (and from the bottom from becoming soggy), I roasted mine on top of a heavy-duty cooling rack set on a cookie sheet. 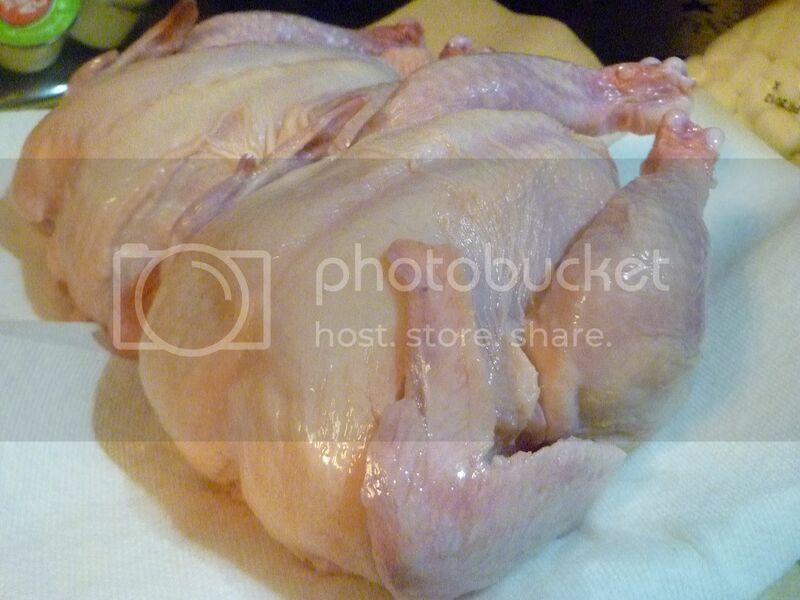 Fold the wing tips underneath the hens. This will keep the tips from burning. Now to stuff the hens. I used lemon, ginger, garlic, and bay. Stuff everything in the hens, dividing the stuffing ingredients equally between the two. 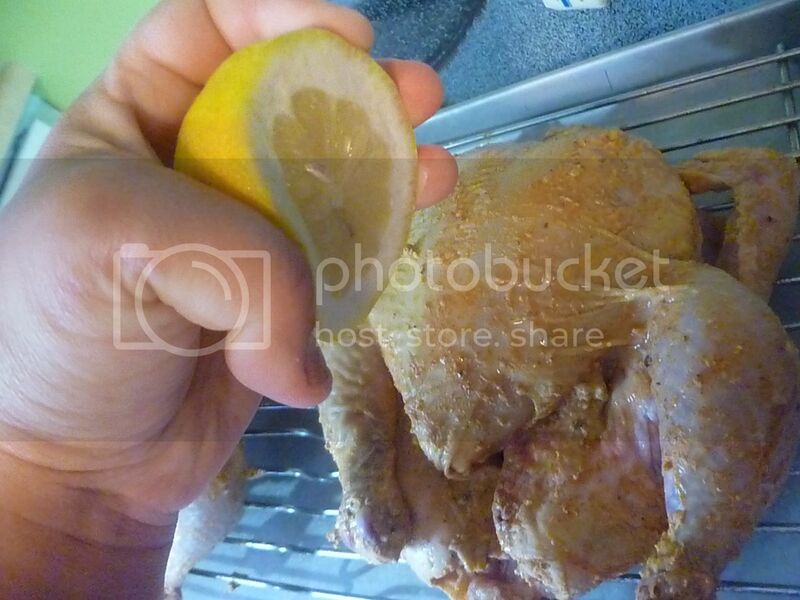 Squeeze the juice from the remaining half lemon over the top of the hens. 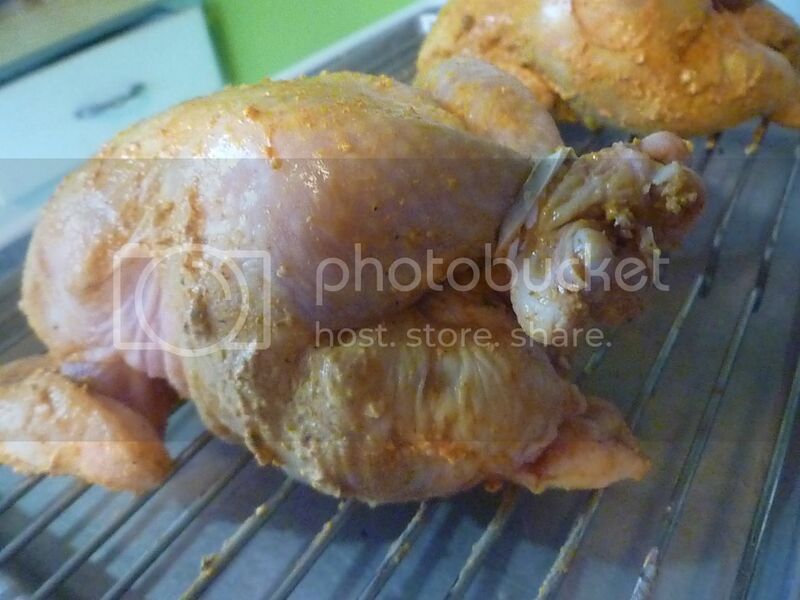 Use kitchen twine or silicone roasting bands to secure the hens' legs together. Don't bind them too tight--just enough to keep them together. 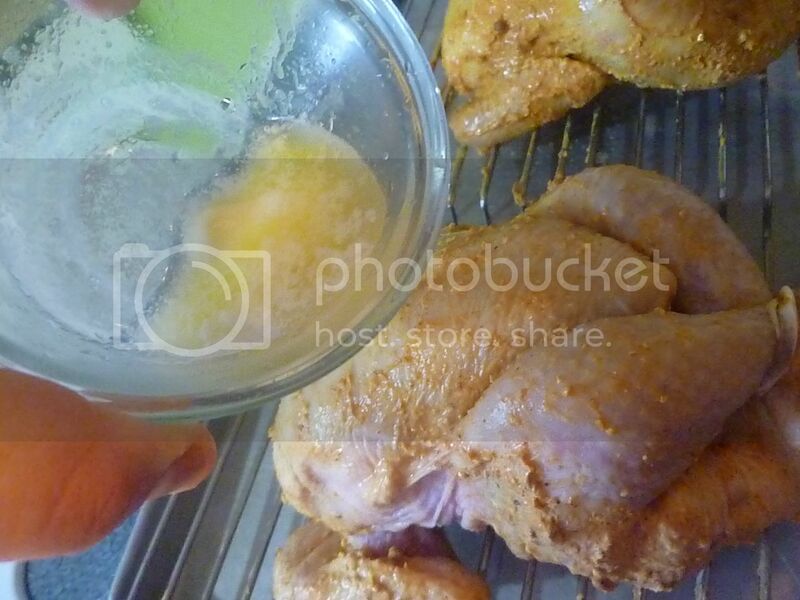 Pour or brush some melted butter over the hens. Use clarified butter for more authenticity. 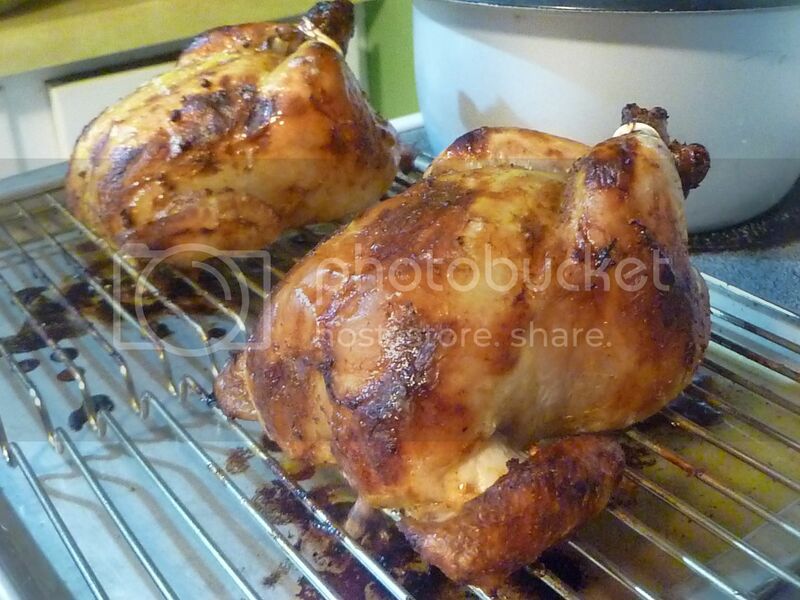 Pop the hens in a 425F oven for about 50 minutes-1 hour. They will look and smell great! 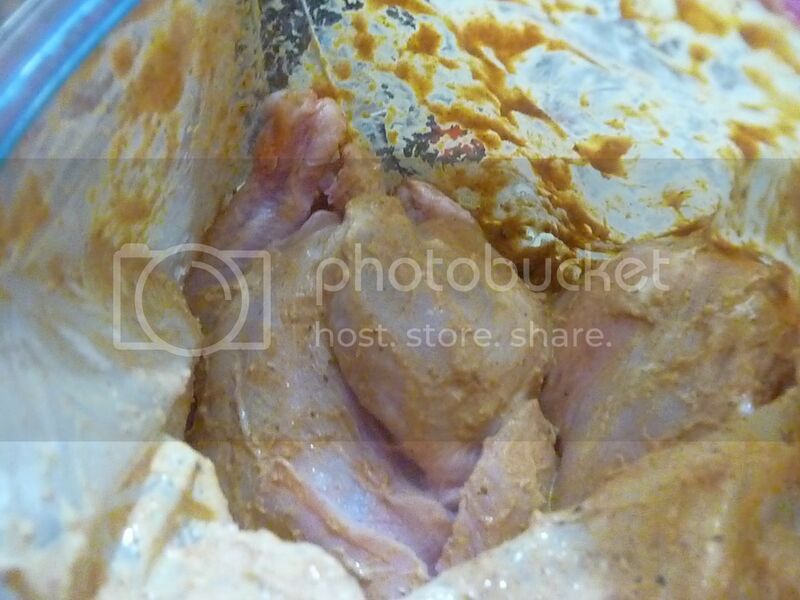 The meat will be lightly flavored, and the yogurt marinade will ensure it's moist and delicious. 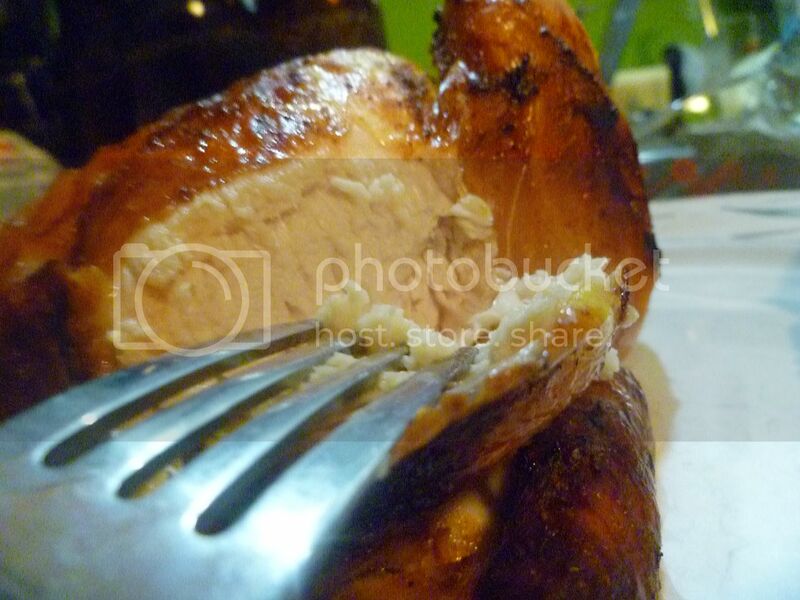 If you want something different from the ordinary roasted poultry, definitely give Tandoori Game Hens a try!